There has certainly been no lack of drama in the league world since the final siren sounded on the last day of September. It’s been a week since Game 3 of Origin and with pretty much any discussion on the game revolving around post-match drama I figured I’d take the opportunity to remind everyone that a game did in fact take place prior to the awards ceremony. I’ve been putting this article off for a while now. It has been sitting in my hard drive under various iterations since the Game 1 State of Origin loss for Queensland. 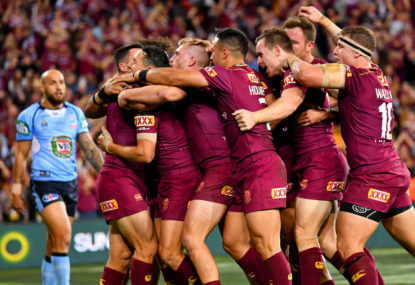 After the retirements of Queensland stalwarts Johnathan Thurston and Cooper Cronk, the state’s first Origin team for 2018 was always going to have a different flavour to it. If you’ve been following this series you’ll already be aware which teams have made my all important top five, but now it’s time to place them in order and list arbitrary reasons for doing so!! With the bottom five teams established in part one of this series, we find ourselves about to delve into the meat of the season. ‘Tis the season to dress up complete guesswork as research and statistical analysis. 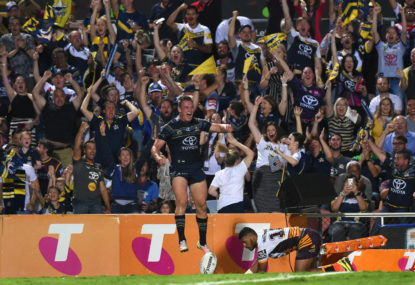 Watching the eighth-placed Cowboys knock out both the fifth-placed Sharks and the fourth-placed Eels in succession got me thinking. Referee-bashing, it’s existed since the dawn of sport. Yet here we are at the business end of the season and it’s all anyone can talk about. It’s that time of year again. 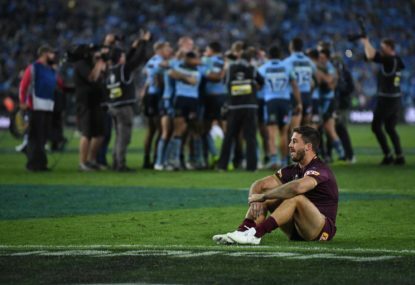 Queensland have walked away with yet another State of Origin victory and every man and his dog is laying into New South Wales over various perceptions as to why and how they lost. What just happened? 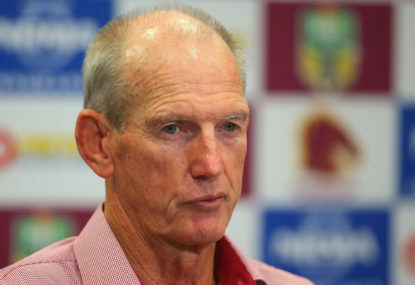 The dynasty was over, Queensland had been weighed, measured and found wanting. Soccer is the biggest sport in the world, of course its going to have high participation rates. The A League, as an Australian organisation and not an entire sport, is facing issues at the moment. I was pretty relieved when the broncos “missed out on” Green’s signature to be honest. He did a great job tweaking a side that had been built by his predecessor but the side hasn’t really evolved since 2015 apart from forced changes. When does Nathan Brown’s future get questioned? Just didn’t think the Dogs would go naught from three, and not exactly sold on Wests to be honest. On a serious note though, seven from 8 this week (damn you dragons…)! Pro tip, don’t put too much thought into your tipping and you’ll be fine! Round 3 and you can’t see any more movement in the ladder?? Teams 8 to 15 are tied on 2 competition points…. Yeah, I dunno. It was more like seven wins outside the 8 with their points differencial. Three of those seven wins with Pearce were against the bottom three teams. With Pearce in the side they also had an average winning margin of 3 and a bit, an average losing margin of 17 and a record of 2 wins out of 7 games against the eventual top 8, so like I said they weren’t exactly on fire. A fair chunk of Pearces injury was taken up by Origin too, so they would have been a depleted side playing teams benifiting from the recent rep retirements of top class players as well. Not that it really matters, it’s all ifs and maybe’s anyway. If there’s one thing I’ve learnt from the Cowboys last year and the Bunnies for a couple seasons before them it’s that having a top shelf lineup doesn’t count for much if you’re not using them right, and I’m not sure I’ve seen anything yet too convince me that Brown will use them effectively. But, going by Knights supporters comments, Brownie seems to be faultless in Newcastles eyes at the moment. 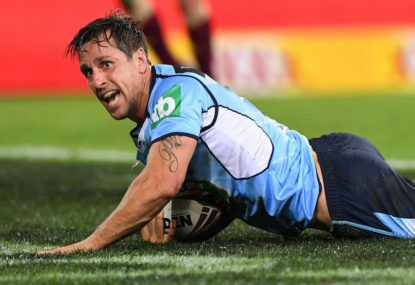 Would the knights have finished in the 8 without Pearce getting injured? They weren’t exactly lighting the competition on fire with him there. 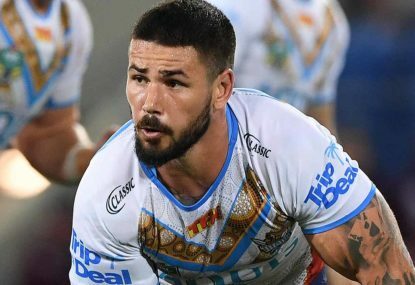 I think it’s still far to early to be passing judgment on clubs for this season, but I do feel if the knights finish well that Brown will be a beneficiary rather then the reason. as in playstyle, Haas isn’t the rush out and put on a big shot type. I didn’t criticise your grammar, that’s the last thing I’d criticise some one for. I just highlighted how the words you chose showed you were talking about the team in general and not specifically that performance. You’re enitled to your opinion on Seibold as a coach, even if I don’t agree. 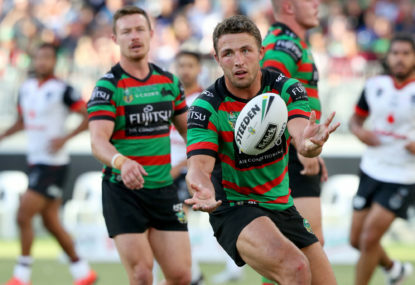 My point is that the only thing last nights game is proof of is that they had a poor game (and it wont be the only one), trying to use it to prove your own opinion on Seibold says more about what you want to see then reality. 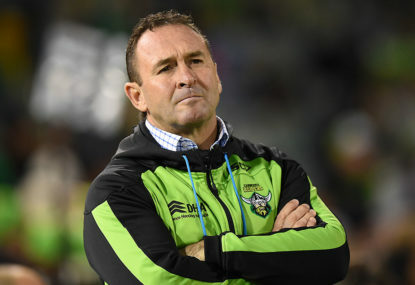 Guess what, the Broncos played pretty poorly in last two games against the Dragons (arguably much worse), but that was a completely different coach, or was that proof that Bennett’s a poor excuse for a coach as well? Every team in the comp has bad games, even the Storm looked woeful at times last year. 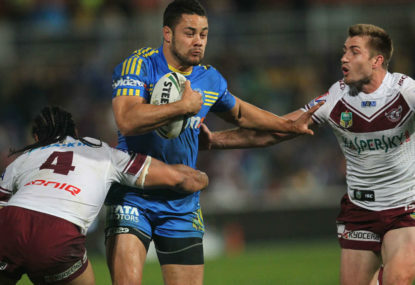 The Broncos issues last night were errors, not bench rotation or whatever else you think Seibold brought. 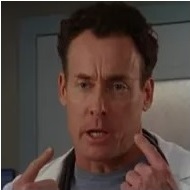 I probably sound like I’m saying the Broncs had a fine game, they didn’t, they were pretty poor. But some people seem to be trying to use last nights game as evidence fundamental issues affecting the club and proof of their chances this season. “If you weren’t an Anthony Seibold believer, this game didn’t convert you” – clearly a fundamental issue with the coach. “The attack still looks hopelessly disjointed” – “looks” not “looked”, as in not last night but in general. 53 points in two weeks is pretty poor I guess. 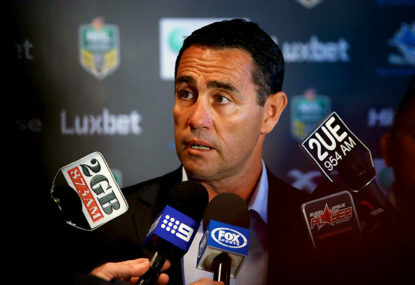 “The use of the interchange is still highly questionable” – another mark against the coach, if very subjective. This is where the “looking for criticisms” comes in. The Broncos were poor last night for sure, but don’t try and use that as some new benchmark for the club to validate your own preconceptions (not you TB, people in general). I do think there is a difference between getting lucky and dismissing points as luck, you don’t get gifted trys you get gifted oportunites. I do find it ironic that Fergo scores a 90m try off an intercept and its down to pure brilliance but Roberts takes a kick by his fingertips and runs 90m to score with a dodgy achilles and it’s dismissed as undeserved, don’t tell me there’s not a naritive here. But maybe I’m just being too touchy about the predictable influx of comments following a broncos loss. Last week wasn’t an excuse for last night, it was more that you can’t expect a team to put up the same performance every week as when they lift for their biggest game of the season. I thought the Broncs got a disproportionate amount of praise last week and I think they’re getting a disproportionate amount of criticism this week, neither game is going to be representative of their season. I don’t disagree with you on Pangai, and I highlighted his issues several time during the week. The thing is though, people only want him to reign it in when the team loses but if he’s not putting on big hits its because he’s gone cold. Everyone had to expect the pack to be inconsistant coming into this season given how much experience they lost (which was further impacted by missing Lodge last night), but I’m not sure that not getting on top of the dragons is a criticism, they’re one of the teams with the best pack in the comp. And they weren’t dominated either. The Broncs were poor last night but it still came down to one point in the final 5 seconds in a high scoring game, I just don’t understand why all the criticism is so one sided. Not sure I agree that the Dragons contained the Broncos left side, they scored 3 out of their 4 tries down that side. One off a grubber and the Widdop dropped ball was off a massive break down that side. They also botched a couple so it’s not like nothing was happening. There seem to be a lot of people dismissing 24 points as luck. But it’s not like the dragons were on fire. They had one try off a dummy half run with no defenders in front of him, one barge over from a metre out and three of their trys were off sets that started in attacking territory thanks to penalties or errors. They were also only in the game at the end thanks to a penalty goal and were only able to come up with the winning field goal because the Broncos missed one down the other end the previuos set. you’ll always be able to find a way to driticise a team if you’re looking for one. Honest question, why do you think Flegler was the most effective forward? He wasn’t having a great game before he was benched. Lets be honest here, the Broncos were coming off a massive game in their biggest regular season game of the year last week while apparently the Dragons see the Broncos as a big game for them, there was always going to be some drop off from last week. I don’t know if the pack was that bad aside from errors, they certainly didn’t get dominated and thier errors hurt them much more then the oppositions pack. You’re never going to look good if you fail to complete 13 sets. As far as TPJ goes, he plays the same whether you win or lose. If they win he’s the second coming and if they lose he’s a liability, it must be damn confusing to know what you’re supposed to do. He’s much like a Fifita style player, you can’t accept the good without knowing it’s going to go against you some days. The irony is that he had higher work rate this week then last and made a mountain more meters but apparently let his team down according to most commentators and needs to learn to back it up consistantly. I don’t think either side was particularly good last night, it was definately entertaining but it wasn’t exactly high standard stuff. Both side lets in a lot of points and both sides missed a mountain of tackles with a point in it, but it’s doom and gloom for one while the other gets praised.